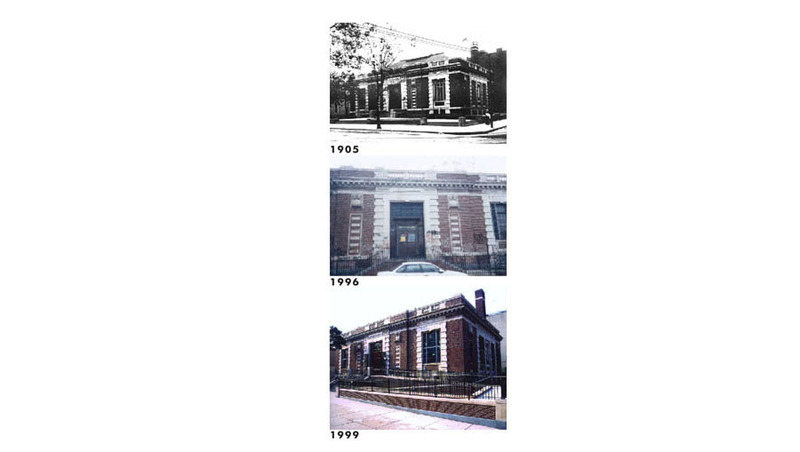 The two-story12,000 square foot DeKalb Branch Carnegie library opened in 1905 and was “modernized” in 1966 when fluorescent lighting and air conditioning were installed, the interior was modified and original millwork removed, and the front entrance was severely altered. On the interior, only the historic rear stack structure remained. By the early 1990’s, plagued by roof leaks, outdated HVAC systems, and poor lighting, the library was greatly in need of upgrading. 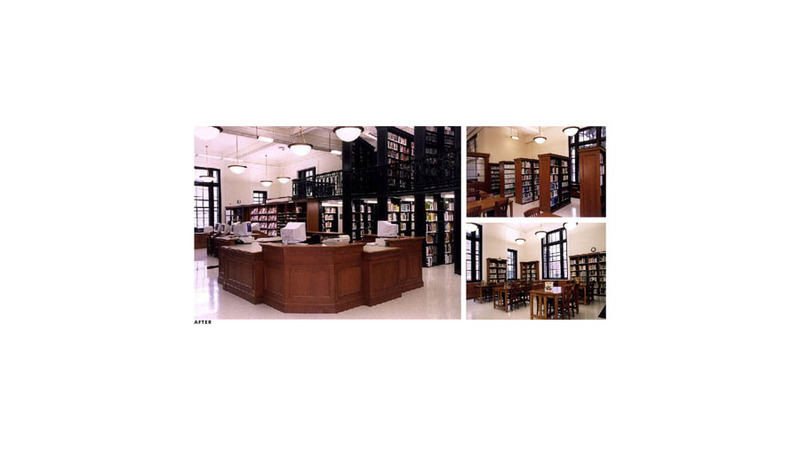 Working with VBA Architects, Elisabeth Martin expanded what began as an HVAC replacement project to guide the branch’s comprehensive design and the award-winning restoration and renewal. 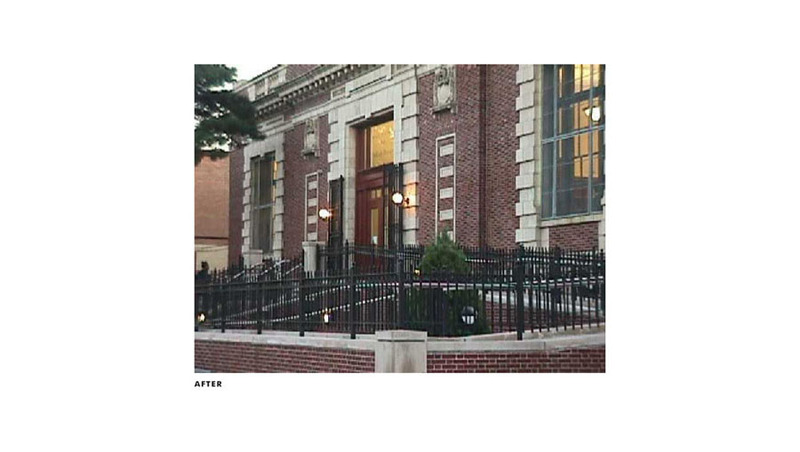 The exterior was restored and ADA access was gracefully integrated to both the interior and exterior. The entry sequence, with its new ramp and restored stair, closely recalls the original terraced steps. 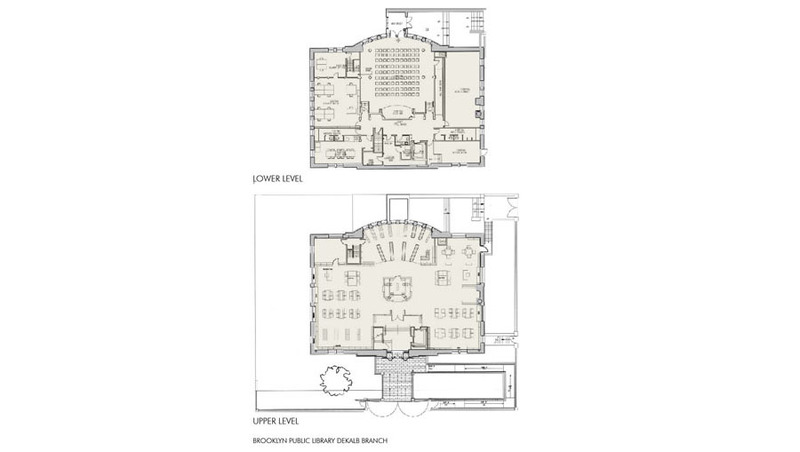 The 3 stop elevator provides easy access to all levels and permits independent access to the restored lower level public meeting room. New lighting not only restores grace to the overall ceiling plan but also provides even lighting levels, far superior to the original or later 1966’s lighting scheme. Ms. Martin performed the planning, design review and interior design services for the furniture and finishes. Materials refer to the building’s historical components yet were selected with modern uses, economy and durability in mind. The enormously successful renovation was completed within a modest budget of less than $200 per square foot.